Italian Cardinal Elio Sgreccia, former President of the Pontifical Academy for Life, analyzed little Charlie Gard’s case and offered “10 critical points” for consideration in the Italian daily La Stampa, on Monday, July 3, 2017. We recall that Charlie Gard was born on August 4, 2016 and suffers from mitochondrial depletion syndrome, which has affected his brain. He receives assistance to breathe, is hydrated and fed through a tube, but receives no other care. Cardinal Sgreccia stressed first of all that “the non-curable character can never be confused with incurability” (1). He then recalled the duty to feed and hydrate (3): they are not aps of therapies but the minimum necessary to survive of every human being: “Artificial feeding-hydration through a nose-gastric tube in no case can be considered as a therapy . . . Water and food do not become medications by the sole fact that they are administered artificially; consequently, interrupting them is not like suspending a therapy, but it is to let someone die of hunger and thirst who simply cannot feed himself autonomously. 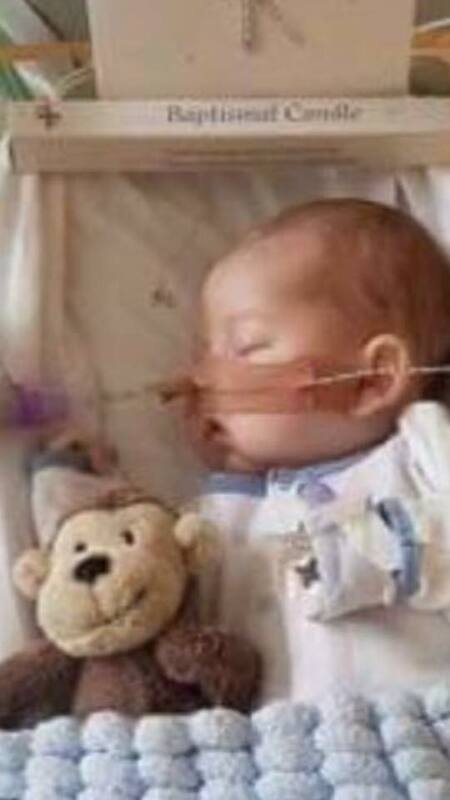 We recall likewise that on Monday, July 3, the President of the Bambino Gesu (Infant Jesus) pediatric hospital, a dependency of the Vatican, Mrs Mariella Enoc, said she was ready to receive Charlie Gard in Rome if his parents so wished and if his state permitted it. On June 27, the European Court of Human Rights rejected the request to take the child to the United States for experimental treatment and the British High Court pronounced itself in favor of halting the respiratory, hydration and feeding assistance. Mrs Mariella Enoc, President of Rome’s Bambino Gesu hospital, who had expressed her readiness to receive the baby, if his transfer was possible and if his parents so wished, announced on Tuesday, July 4 that the transfer would not be possible for “legal” reasons: it is in any case the answer of the English hospital where Charlie is at present, reported Vatican Radio. Mrs Enoc said she was contacted by the baby’s mother to discuss his care. In regard to surmounting the legal reasons, the Cardinal Secretary of State Pietro Parolin assured : “If we can do so, we will,” reported the same source.